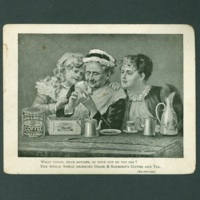 Pictured is an advertising card for Chase & Sanborn Tea showing some ladies engaged in tasseography. 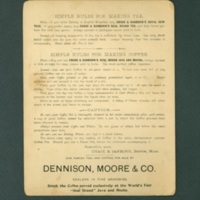 It is captioned, "What vision, dear Mother, in your cup do you see? 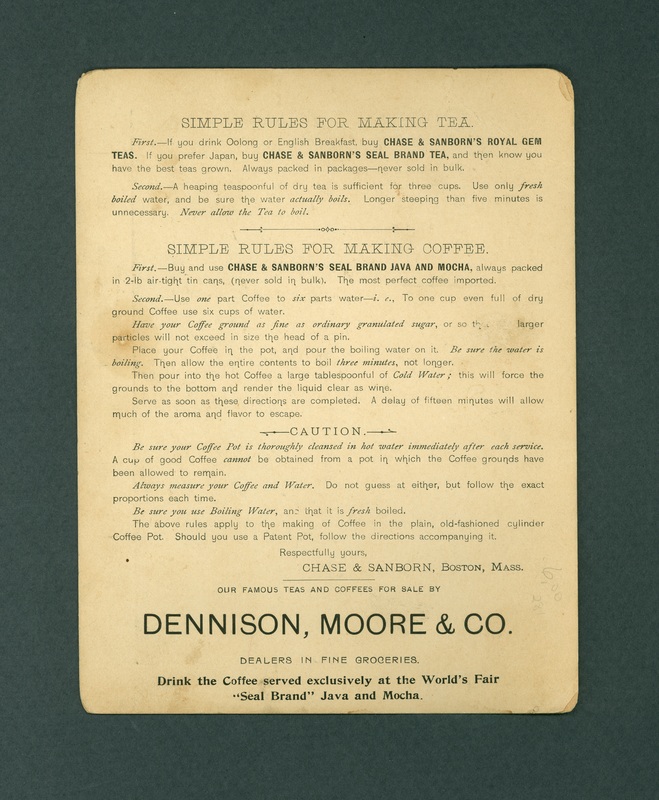 The whole world drinking Chase & Sanborn's Coffee and Tea." 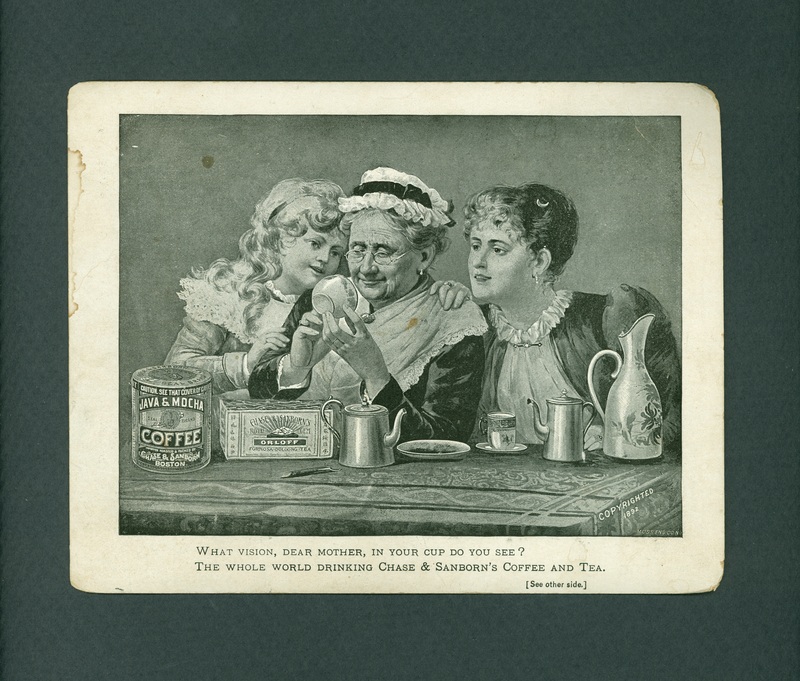 Chase and Sanborn, “Chase and Sanborn Tea advertisement,” The Skeptiseum, accessed April 25, 2019, http://www.skeptiseum.org/items/show/415.